Apply Now! Resident Portal Contact Us! Pavilion at Twin Creek embodies all the comforts for luxury living. Located in a convenient setting you can easily enjoy the high end shops and restaurants nearby and take pleasure in an active lifestyle. We offer one, two and three bedroom apartment homes in our Phase I and Phase II building styles. Enjoy the convenience of full size washers and dryers, microwaves, private balconies, garden soaking tubs, wood flooring, vaulted ceilings and more. Our community is fully equipped with attached and detached garages, two state-of-the-art fitness centers, two luxury pools, a 24-hour business center and direct access to biking/jogging trails. 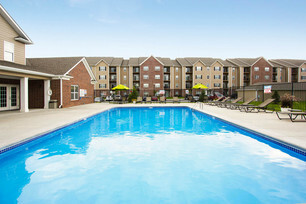 Make the move to luxury and convenience today!